In the most recent issue of the Chronicle of Higher Education, philanthropist Bill Gates says that even though education “has not been substantially changed by the internet” thus far, the future is likely to bring fundamental shifts toward online instruction. Even if such an approach might be effective for some colleges or programs, what applicability might online classes have for honors programs, which emphasize the interactions of students and professors in small classes? Should honors programs be on the cutting edge of integrating online learning with instruction in relatively small classes? But, if so, how would the effectiveness of such honors experiments be assessed? Gates acknowledges (and laments) that there is a lack of evidence showing “where…technology is the best and where face-to-face is the best.” One big problem, he told the Chronicle, is that higher education “is a field without a kind of clear metric that you can experiment [with] and see if you’re still continuing to achieve [increased learning]. 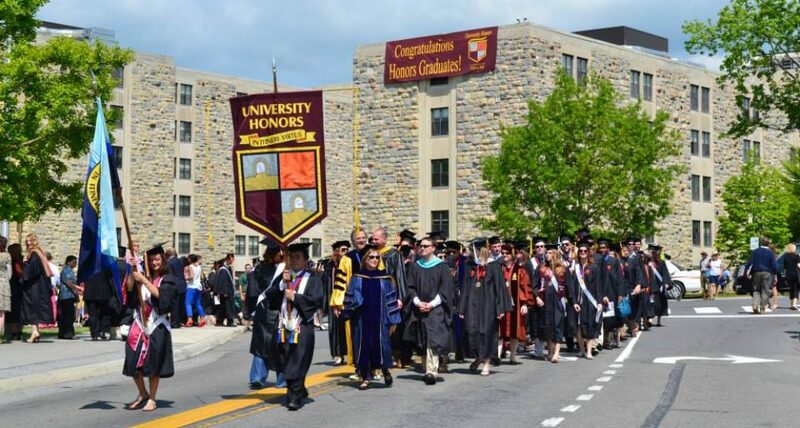 Another advantage of honors programs is that the course work and activities of honors students are never entirely segregated from the larger university and inevitably have an impact beyond honors. Therefore, honors programs are and have been a natural vehicle for the transfer of enhanced instruction to the larger university. A key element in this process would be the assessment of non-honors students who have frequent classes or projects with honors students in order to understand how the interaction is beneficial. The next, and much more difficult, step would be to determine what parts of the process could be used with similar effectiveness in a hybrid context. The hybrid model that Gates is exploring can sound a bit like the communication and training structure of an international high-tech company: we watch the CEO in a series of online videos; we note his insights and instructions; and we meet and discuss the ways in which they might be developed, used, and enhanced. Then we are graded according to our progress. But given the hard choices by some public universities, the use of more online instruction might make the advantages of an honors education more readily transferable to the larger university if online lectures and instruction were incorporated into the curriculum, provided that at least some of the assumed cost savings could then be used to fund more frequent small-group discussions and projects. And in that effort, honors learning innovations could lead the way.